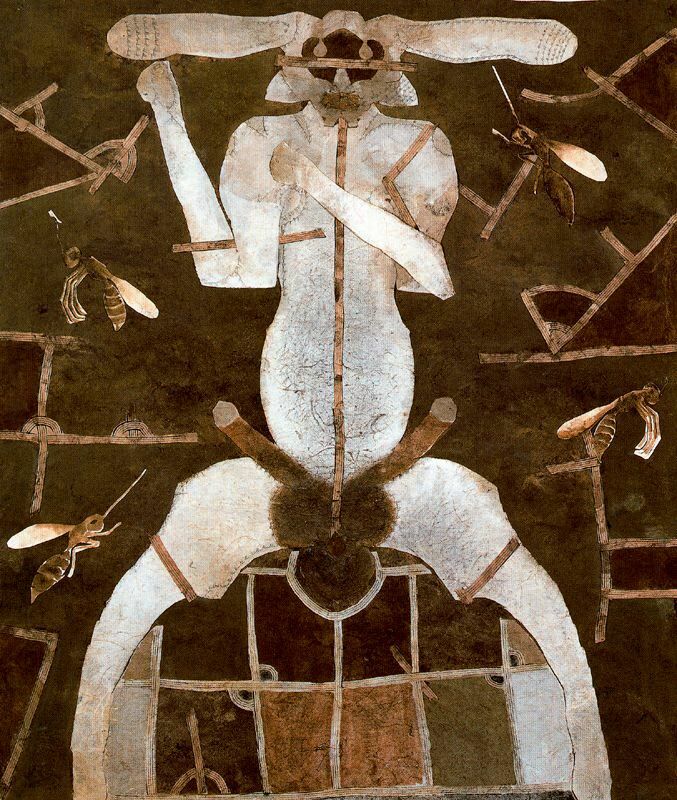 Like a hare springing erect and bounding exuberantly across a dew-kissed field, the beauty and energy of the aroused male embodies the burgeoning life force often associated with spring. 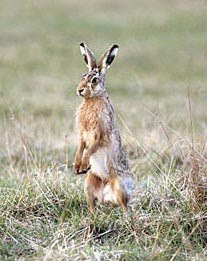 The hare is symbolic of natural phenomena that connote actions of the aroused male: the rising sun, the coming spring. 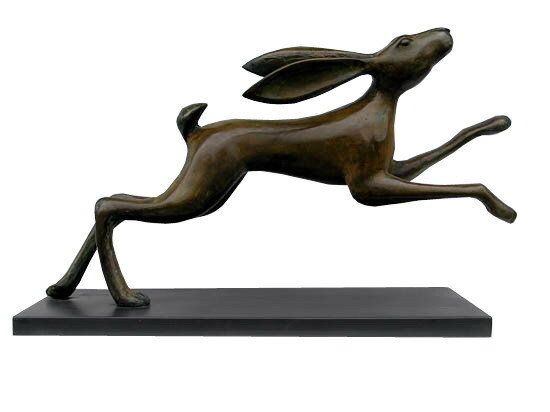 In folklore, art and dreams, hares herald great bursts of energy and creativity. They are often thought to be touched by divine madness, by a spirit of anarchy that overturns dogmatic tradition and restrictions. 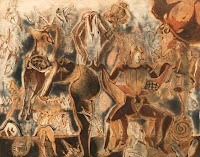 They are tricksters, offering us new ways of seeing and being in the world. They are emblems of the integration of body and soul. The hare was the Anglo-Saxon fertility goddess Eastre's companion and messenger. 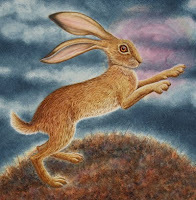 It is said that her illuminating and warming powers, as goddess of the dawn, were embodied and channeled by hares. Like her, they represent the love and carnal pleasure that can lead to flourishment, to renewal, to the blossoming forth of life. They therefore have a reputation for lusty sexuality and fecundity. One artist who has incorporated this symbolism into his work is Mexican painter and sculptor Francisco Toledo.